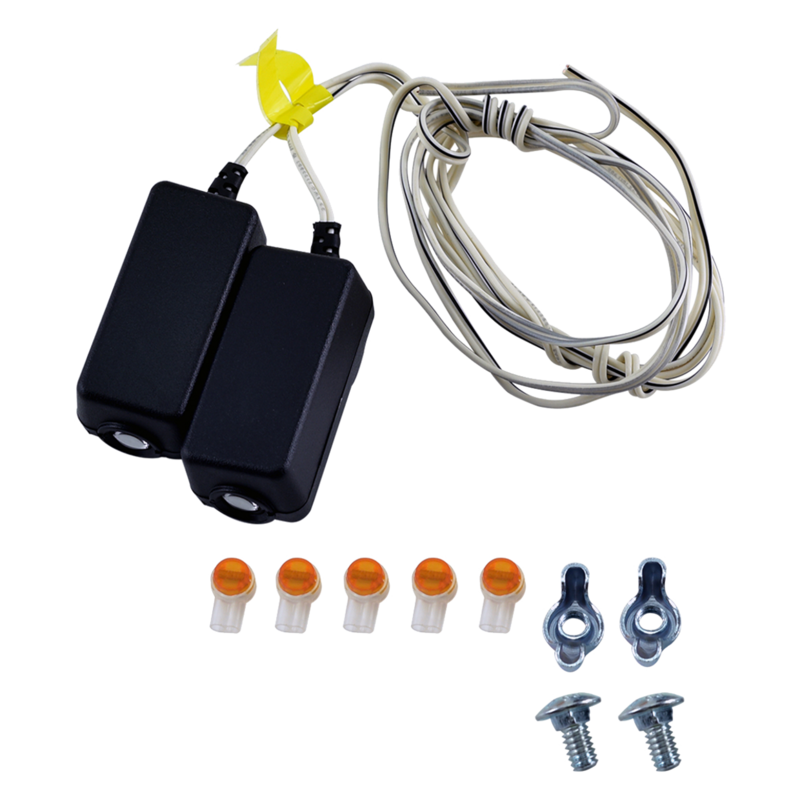 041A5034 is a Safety Reversing Sensor Replacement Kit. For use with all Garage Door Openers made after 1999. This is a required safety device that MUST be connected and aligned correctly before the garage door opener will move in the down direction. Refer to the manual for important safety and installation information. 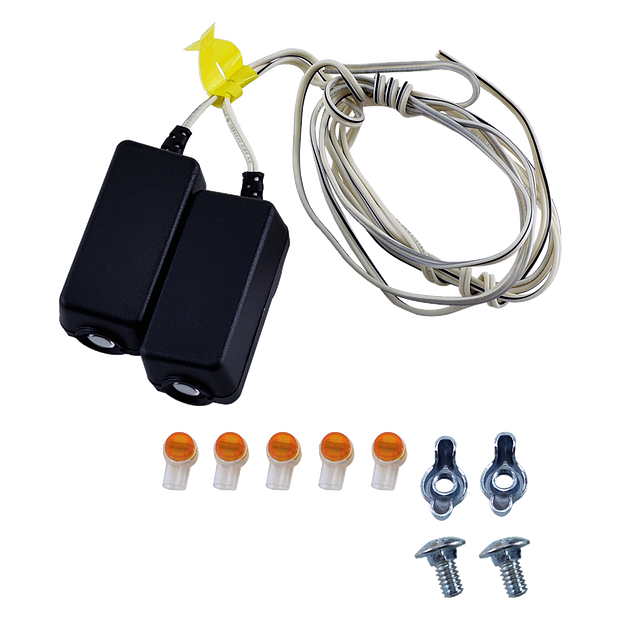 Complete kit includes: Sending sensor (with an amber LED), receiving sensor (with a green LED), 2-conductor wire, (5) wire connectors, (2) wingnuts, and (2) 1/4-20" round head bolts. Check the manual or replacement parts diagram for specific part information before ordering to ensure compatibility. Important Note: This kit is NOT a replacement for 041A4373A Safety Sensors, and does not support models manufactured before 1999.